As parents, our #1 priority is to raise children that are responsible, compassionate and kind people. We want our children to be the ones that change the world by making it a kinder, more empathetic place to live. We worry incessantly about how our children are affected by the cycle of bullying and other violence that seems to surround us these days and how we will keep them safe from harm. With all of the outside influences that our children are exposed to on a daily basis, we often wonder how, as parents, we can break the cycle of violence and create caring and concerned families and communities. We now know that the strength of our child’s connection to their own feelings, to the feelings of others and to the planet are at the core of ending the cycle of violence. The positive relationships that our children make at school and in the community are vital to helping them become caring and compassionate adults but it is at home where their moral foundations are first created. As parents, we want to help our children to not just want to be kind and compassionate, but to know howand most importantly, willing to act with kindness and compassion. In this 3-part series, we will be talking about the effect that different family structures may have on the likelihood that a child will be involved in bullying in some way. The family structure that a child lives in has a direct influence on how they connect to the rest of the world. The family is the first place where children begin to develop relationships. The structure of the family and how the members of a family relate to each other and the outside world are an important factor in determining whether a child will be predisposed to being a bully, a target or a bystander. 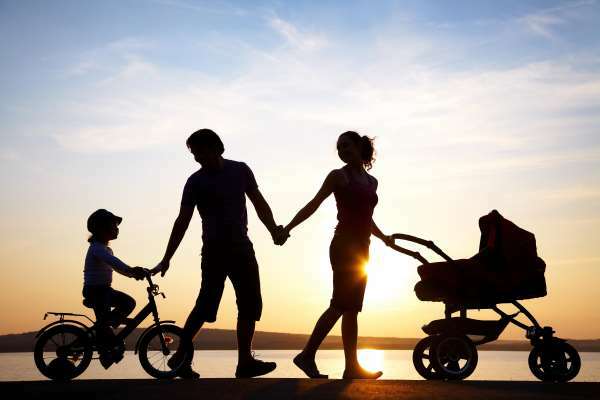 Our purpose in examining the 3 different types of family structures is to help you identify the habits that happen in your home that may help your child to become a caring and compassionate person as well as the habits that might be hindering that development. This kind of self-assessment can help you to become more aware of the messages that you are sending to your children. It’s important to be aware of the physical and emotional environment that you are creating for your family. Today we will be learning about what author and bullying expert Barbara Coloroso calls “The Brick Wall Family”. In this family structure obedience, order, control and a hierarchy of power are at the forefront of family habits. The children are controlled, manipulated and forced to follow the rules. Feelings are ignored and parents often maintain control by means of ridiculing, threatening, comparing and lecturing. The structure is a dictatorship of sorts. In the Brick Wall Family, parental authority is absolute and children learn to do whatever they are told without questioning the purpose or reason for the demands or requests of the parents. Children learn to bully others by bossing them around. Targets learn to just accept whatever they are told and bystanders learn to follow the leader without any concern of what they are asked to do. Failure to meet the expectations placed on the children is most often corrected with physical punishment. Unfortunately, this type of discipline may be easy to administer, but does nothing to help a child develop an inner sense of discipline that is motivated from the inside. Research indicates that physical punishment creates feelings of anger and aggression and children who come from homes where harsh physical punishment is used on a regular basis often turn to bullying behavior or become the target of bullying. Physical punishment demonstrates to children that physical harm is an acceptable way to treat others. It also prevents children from developing a sense of empathy. Children exposed to harsh physical punishment often develop a sense that it’s OK to bring this kind of action out into the school yard and the community. Harsh punishment and use of manipulation will eventually break a child’s will and spirit. This can leave them feeling helpless and hopeless. A broken spirit can prompt a bully to try to put someone else down so that they can feel superior. The target of bullying who lives in this type of family structure lacks the inner resources to fend off a bully. Parents in a Brick Wall Family will use humiliation in the form of sarcasm, ridicule and embarrassment to control behavior. Bullies then learn to use these techniques to manipulate and control both the target and the bystander. When feelings are ignored or belittled, children can come to believe that there is really something wrong with them. They begin to act that way and they become vulnerable to bullying. Brick Wall parents use threats and bribes extensively. They alternate between punishment and reward and children never know which one to expect. Bribes and rewards, as well as threats and punishment don’t allow a child to willingly choose a course of action. Children are operating from fear instead of faith. These types of external motivation can manipulate a child into performing. Tasks are done merely for the reward. It creates a child who is dependent on the approval of others. They lack self-confidence or a sense of responsibility. There is no inspiration to be kind, honest, tolerant, etc. They have little to no commitment to what actions they take. Brick Wall parents rely heavily on competition in order to get children to excel. They value individual successes over group successes. Intense competition can negatively affect a child’s feelings about their siblings and peers, stifling the development of empathy. Serious competition doesn’t celebrate diversity and trains children to see others as obstacles or adversaries. It separates them into winners or losers. Competition creates an environment of fear. Mistakes are considered to be bad and there is no margin for error. There is only one goal-perfection. Fear of making a mistake can drive them to bully or become bystanders. When these parents demand strict obedience and they rule by fear, children learn not to express their feelings. Feelings of fear, sadness, and anger are stifled and children are punished for expressing any feelings. Children who are forbidden to express their feelings may refuse to acknowledge them and the emotions stack up internally. Sooner or later, one of three things will happen: The child may act out displays of self-destructive behavior, aggressive acts towards others or passive aggressive acts. All 3 of these behaviors indicate that the child doesn’t take responsibility for themselves and these types of behavior never solve the problem. Love is always conditional in a Brick Wall family. In order to receive affection and approval, children are expected to follow orders. When children disobey, they are shunned. Children who experience only conditional love constantly depend on others to affirm their worthiness. They are willing to do whatever is asked of them to get that approval. These children are never able to learn about their unique gifts are more apt to be targeted by bullying. Children are taught what to think, not how to think. They are more easily manipulated and likely to do something to please someone else rather than do what is right for themselves or someone in need. They aren’t able to think outside of the box to come up with alternatives to bullying or intervening when they see sullying occur. The most interesting thing about the Brick Wall family is that from the outside, the members seem to be close-knit but this is only a facade. Underneath there is anger, rage and frustration that are held in place by brute force and intimidation-an ideal condition for creating bullies, targets and bystanders. Now that you’ve read about the Brick Wall Family, do you see any similarities in your own home to the family structure you read about today? Sometimes, we are so busy living life and just trying to get through the days that we don’t realize how the way our family members interact and how we parent our kids can create a predisposition to bullying and other forms of violence. While I was doing the research for this blog, I found myself wincing and closing my eyes, not wanting to read any more…you may be experiencing the same feelings right now. But don’t worry…you are not alone and there is help available! If you are ready to learn more about what you can do to create a more positive, balanced home for your family, check out our latest e-book called “Bullyproof”. It’s full of ideas on how you can take small steps to empower your child to stand up to bullies, to keep the lines of communication open and help your child to become more empathetic and compassionate. Subscribe to our email list at the end of this post and you’ll get the e-book delivered to your inbox. Then you will be notified when new blog posts are published, receive our newsletters and monthly Random Acts of Kindness calendar plus other helpful information about bullying. If you are interested in receiving information about our parent and/or student classes, have any questions or just need a place to vent, send us a message and we’ll get back to you as soon as we can. Stay tuned for Part 2 of this series when we talk about The Jellyfish Family.